2017 aluminum strip is a typical hard aluminum alloy of the Al-Cu-Mg series. It has more reasonable composition and better overall performance. Many countries producing this kind of alloy, and it has a largest amount of market. Characteristics of the 2017 alloy: high strength, great resistance of heat which can be used below150°C . The alloy 2017 can have a higher strength than 7075 alloy if the temperature is over 125°C. 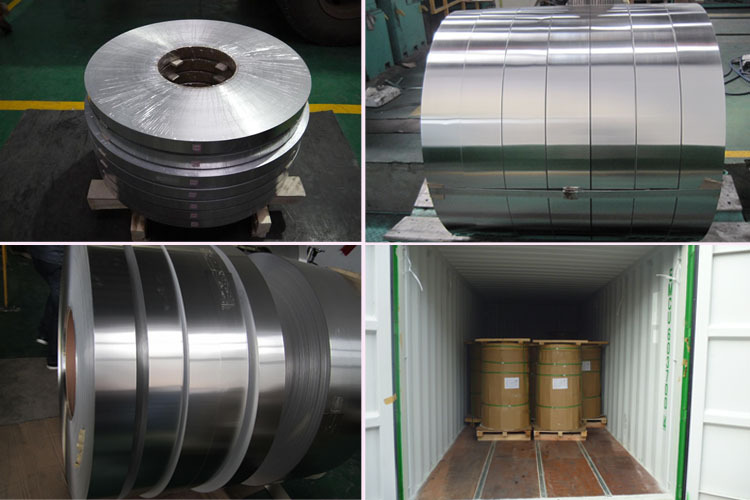 2017 aluminum strip is widely used for aircraft structures, rivets, card wheel hub, propeller components and other various structures. Copper is added to 2017 aluminum alloy. And 2017 aluminum alloy is the first one of 2000 series which can be used for industrial application with high strength and good cutting processing properties. It mainly used for rivets, general machinery parts, aircraft and ship applications, propeller components and accessories. 2017 Aluminum strip products of haomei . meet the export standard. Plastic film and brown paper can be covered at customers’ need. What’s more, wooden case or wooden pallet is adopted to protect products from damage during the delivery. There are two kinds of packaging, which is eye to wall or eye to sky. Customers can choose either of them for their convenience. Generally speaking, there are 2 tons in one package, and loading 18-22 tons in 1×20′ container, and 20-24 tons in 1×40′ container.